A modified version of a website or app can be as simple as changing headlines and call-to-action buttons, or as complicated as redesigning the entire website or app. Either way, A/B testing tools provide real time data about your users, allow you to continuously experiment and optimise your website or app, and ultimately boost conversion rates. Besides, with A/B testing tools you can lower bounce rates and cart abandonment rates, save time and minimise errors in analysis, and increase sales without having to spend more on advertising. A/B testing, also known as multivariate testing or split testing, is a method of testing and comparing two versions of a webpage or app to find out which one is performing better. It all boils down to this simple concept: whichever version or variant of a webpage or app is better at capturing and converting visitors into customers wins. Keeping those benefits in mind, here are our favorite top 20 A/B testing tools that you can use to test your website or app today. Optimizely is a popular experimentation and personalisation tool designed for product as well as marketing teams. It’s easy to use, suitable for any company size, and supports multiple mobile and desktop platforms (iOS, Android, Windows, and so on). Marketers can experiment and implement different variations visually and get real-time results, all without coding. On the other hand, product teams can take advantage of its full stack support. 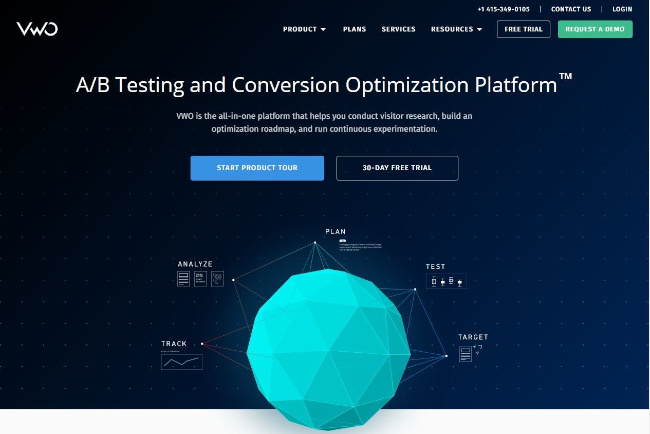 VWO is an all-in-one platform where users can conduct research on website visitors with built-in heatmap tool, optimise websites for conversion, and continuously experiment various versions based on real-time insights. Visual-driven to its core, VWO enables users to easily build campaigns with a visual editor without coding and visualise visitor behavior. Another cool thing is that it offers A/B testing, multivariate testing, and split URL testing. If you’re new to A/B testing, you can opt “Pay As You Go” plan, starting at $49 for every 1000 monthly unique visitors you test on. Pricing: Quotation needs to be requested on the website; Plans are divided into Testing, Conversion Optimisation, and Enterprise. 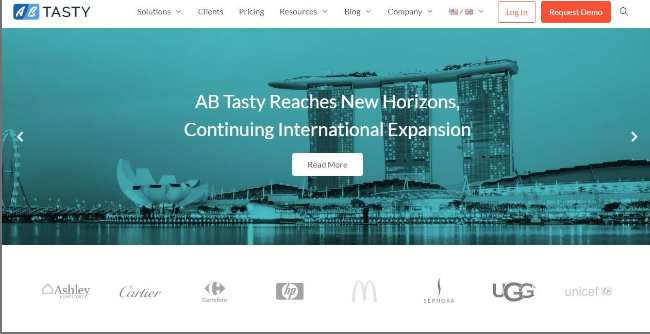 AB Tasty offers an impressive range of testing capabilities that include A/B testing, split testing, multivariate testing, and funnel testing. Using its funnel testing capability, you can easily create and test variations of all relevant webpages in your sales funnel and changes are consistently displayed across multiple pages. It also allows users to test variations based on advanced targeted scenarios such as demographics and URL. Besides, you can integrate your existing data from analytics tools and data management platforms to enhance data from the platform. You might know it as a leading customer engagement automation platform, but Kissmetrics also comes with an A/B testing tool. You can either use this platform along with other A/B testing platforms through integration or use it as a standalone with your pre-existing test code. 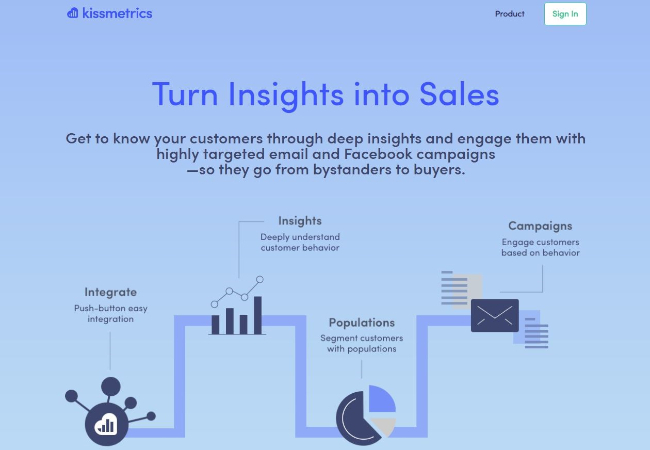 The strength of Kissmetrics is that it’s good at combining behavioral analytics of your customer base and automated email campaigns to boost your customer engagement level. If you’re looking for a strong analytics and email automation tool with built-in A/B testing tool, you can’t go wrong with it. 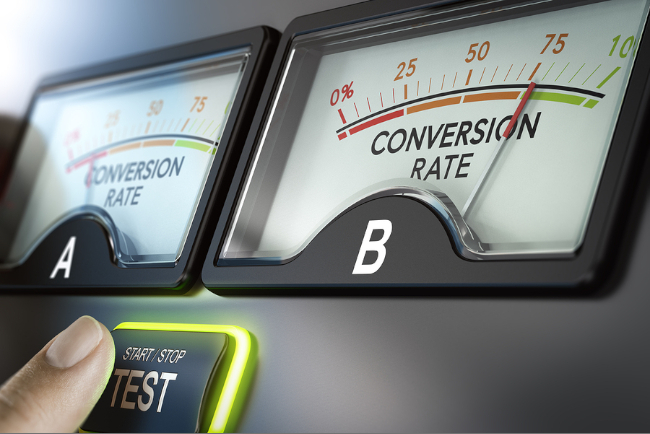 Convert is a platform that offers A/B testing as well as website personalisation. Its A/B testing tool, comes with a WYSIWYG editor, lets users conduct A/B testing, multivariate experiments, split URL, and multipage experiments. It’s suitable for small and medium sized enterprises and boasts seamless third party data integration from platforms such as Shopify, Hubspot, and Google Analytics. Users can easily seek assistance from its live chat customer support. Intellimize is a predictive personalisation platform that uses machine learning to automate A/B testing and optimising conversion rates. Instead of manually conducting testing and optimisation, its advanced machine learning will automatically, continuously adjust and optimise your website according to changes in your visitors’ behavior over time. With Intellimize, you can save time, do less works, and expect better, faster results. It supports both mobile and desktop websites. Like Intellimize, Conductrics is a machine learning-powered A/B testing tool. It boasts support websites, app features, and even back-end functionality specifically for developers. Marketers can take advantage of its visual editor to create variations and run A/B or multivariate tests. As for developers, easy APIs integration makes it seamless for it be integrated into anywhere in your stack. When you don’t want machine learning to take any actions, you can switch on AI listen-only mode and it will merely observe visitors and take notes. If your website is proudly powered by WordPress, Nelio A/B Testing is your go-to platform for A/B testing and conversion optimisation. It’s designed for WordPress websites and easy to use with no technical knowledge required. The platform has a bunch of awesome features such as multi-goal tracking, unlimited simultaneous experiments, and continuous updates. Another reason to love Nelio A/B Testing is how affordable it is, with basic plan starts at only $29 per month. 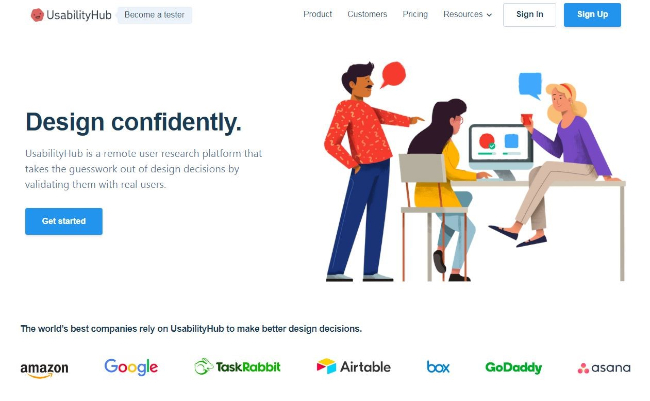 UsabilityHub is a user research platform that helps developers, designers, and product teams make better design decisions based on validation from real users. Its UsabilityHub Panel is made up of thousands of panelists ready to test your website for usability and provide useful feedback. You can collect real user feedback through surveys, preference tests, and its five second test that tests users’ first impressions of your landing page. Anybody over 18 can register and become a tester, and it’s cool that its testers are demographically diverse. Sentient Ascend is an AI-powered A/B testing and conversion optimisation platform. It functions on the premise that its algorithms are able to optimally combine design choices faster and more accurate than humans do (well, at least most of the time). Users can also take advantage of its multivariate testing to test all ideas at once, instead of two at a time, and put all high performing variations together to create the best optimised website. It also supports full funnel optimisation. Evergage is a real-time personalisation and customer data platform that features advanced A/B testing capabilities. Its A/B testing capabilities are powered by machine learning and let you test multiple changes all at once with multivariate testing. It works across multiple platforms too, such as websites, website applications, mobile apps, and even emails. Going beyond monitoring and optimising results in real time, Evergage validates test results with a confidence rating using Bayesian statistics. If you are looking for more than advanced A/B testing capabilities and want to create best customer experience, Evergage might be right for you. If you are looking for landing page builder and A/B testing in a single platform, Unbounce is your undisputed choice. 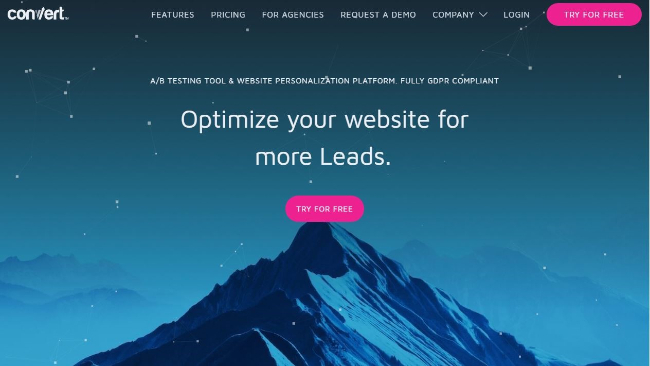 Known for being one of the most popular landing page builders, Unbounce enables you to easily run A/B testing with a few clicks, optimise based on real time results, and keep experimenting for unlimited times. The great thing about it is that its A/B testing tool is easy to use and has a dedicated, user-friendly dashboard. However, its A/B testing tool is not as feature rich as those that are specialised in A/B testing, but it is a good place to start for beginners. Apptimize is a mobile-centric A/B testing and optimisation platform that supports and works across multiple digital channels such as websites, mobile websites, mobile apps, and even over-the-top and in-store. Unlike many other platforms, it offers cross-platform A/B testing capabilities that let you test a change on any platform and track the results and impacts across all channels. Another impressive feature about Apptimize is that it enables you to target a personalised UX or a feature to a particular segment of users, which is particularly useful for ecommerce sites. However, with such rich features and supports for all channels, you can expect its pricing to reflect that. 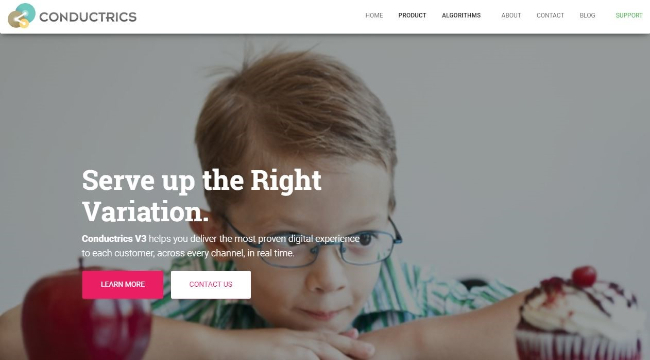 SiteGainer describes itself as the all-in-one A/B testing and conversion optimisation platform that is trusted by brands such as Suzuki and Viking Line. It lets you run A/B tests on dozens of elements on any websites, personalise user experience based on criteria, and even monitor real time results with click or scroll heatmaps. Besides, its A/B testing platform also allows you to create high quality HTML5 surveys to gather more in-depth user feedback for optimisation. Another benefit of SiteGainer is that it is one of the few platforms that offers a 14-day free trial. 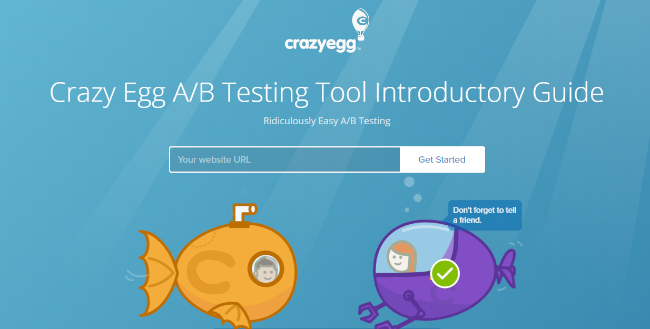 Crazy Egg is a powerful website optimisation platform that comes with unlimited A/B testing in all its plans. Its simple A/B testing tool allows you to simply select an element to test on, easily set it up, and get testing in minutes. There is no coding required to run A/B testing and made completely easy. The great thing about Crazy Egg is that you get so much more than A/B testing; you also get to understand your customer journey with heatmaps and recordings and create and edit website contents with its intuitive editing tools. 30-day free trial is available if you want to give it a try. Dynamic Yield is an AI-powered omnichannel personalisation platform that combines A/B testing with machine learning. Its sophisticated A/B testing tool lets you run A/B testing, multivariate testing, split URL testing, and more on many elements such as contents, overlays, notifications, and recommendations across all channels. One of its awesome features is Predictive Targeting that automatically identifies and matches the right content and experience to the right visitor according to audience segmentation. However, hefty price tags come along with such sophisticated and advanced features. Kameleoon is one of the very few predictive personalisation and A/B testing platforms that a free plan for getting started and a paid plan for enterprise. It lets you understand your users and their behaviors with navigation analysis, create A/B tests, target users with optimisation, and track performances. One of its greatest features is that it allows you to target your audience with personalised contents based on their origin, behavior, viewed pages, and context among 40 other criteria. Besides, its A/B testing tool is capable generating a lot of big data about users (with anonymity preserved), yet no data infrastructure is required to support it. Qubit describes itself as a personalisation software for pros and features advanced A/B testing and optimisation tools. It enables you to run A/B or multivariate tests with randomised traffic allocation and then optimise your conversion rates based on test results. Beyond tests and optimisation, Qubit allows you to deliver next-level personalisation to customers based on insights into visitor behavior and feedback from customers through surveys. Interestingly, it also comes with CRO (Conversion Rate Optimisation) for developers to build enhanced experiences using its server-side capabilities for increased efficiency. 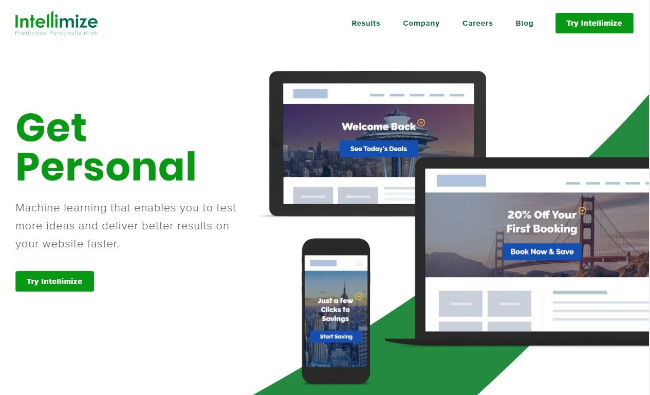 SiteSpect is a personalisation and optimisation platform that offers powerful A/B testing tools, including multivariate testing, client-side testing, and server-side testing. Its superior proxy architecture offers a flicker free experience and is highly flexible and configurable to the needs of your businesses. Another awesome feature of SiteSpect is its ability to let you control the traffic flow and determine who is eligible for a test and who is not. However, SiteSpect is not always friendly to business users and is best operated smoothly by front end or full stack developers. Monetate’s Test & Segment ™ by Monetate is a trademarked A/B testing, multivariate, and segmentation platform that boasts clients such as Pandora and JD Sports. It offers an intuitive user experience, in-depth A/B and multivariate testing capabilities as well as great customer segmentation capability. Dynamic Testing is one of its intelligent features that automatically adjusts traffic allocation to make sure that you are driving maximum ROI at all times. But one of the downsides of Monetate is that the learning curve might be steep if you don’t know HTML/CSS. That was our overview of the top 20 A/B testing tools that will enable you to create and test variations of your website or app to determine which one is better optimised for user conversion rates. Use it properly, and it will save you time in decision making, minimise errors in analytics, and increase sales. Once you’ve mastered the art of A/B testing with your new tool, try combining your testing efforts with a customer feedback tool. These types of software can optimise your testing efforts by providing your with an understanding of what should take priority in your A/B testing. In other words, it forms a basis for your hypotheses. Learn more about how powerful A/B Testing and Customer Feedback are when used together here.